Mary McCaslin was born on December 22, 1946 at St. Elizabeth's Home in Beechgrove, Indiana. Adopted at birth, Mary lived in Indianapolis, Indiana until she was six years old. Then, feeling that it was time for a change, her parents moved the family from Indiana to Redondo Beach, California, a suburb just south of Los Angeles. Mary's earliest musical influences were early rock 'n' roll, bluegrass and country, particularly the Western ballads of Marty Robbins. When she was fifteen, Mary saved money which she earned by babysitting and bought a Stella guitar. A few years later she was given a small Martin, and at the age of 18, in 1964, performed her first gig at The Paradox, a coffeehouse in Tustin, California. A phone company job had been arranged for Mary when she graduated high school, but she had no time for career plans which did not involve music. Around this time, she began to make her way into Los Angeles where, among the many film and music aspirants, there was also a group of folksingers and folk-rockers. A club called The Troubadour was the center of this scene - a scene which would yield future stars such as Jackson Browne, Michael Nesmith and Linda Rondstadt. Mary became a regular performer at the Troubadour's 'Monday Night Hoots,' where a variety of performers could sign up to play. In the mid-1960s, these 'hoots' were hosted by singer-songwriter Mike Nesmith, who very soon joined the television band the Monkees. When Nesmith made this move, a musician named Larry Murray took over as host on Monday nights. His band, Hearts and Flowers, had a contract with Capitol Records and their producer was Nick Venet, who had worked with the Beach Boys and the Stone Poneys (featuring Linda Rondstadt). Larry Murray liked Mary's voice and arranged for some recording sessions for Capitol with Nick Venet producing. These sessions took place between September 1967 and July 1968. The only music from these sessions which was released (before now) was a single; the A-side was Rain and the B-side was This All Happened Once Before. In spite of the fact that this single did not become a hit, Mary was soon signed by Barnaby Records, a label owned by singer Andy Williams. She recorded an album for Barnaby, called 'Goodnight Everybody,' which was released in 1969. After this album was released, Mary began to write songs. Her first song has been forgotten, even by her - but her second, written in 1970, is one which has become a folk classic, Way Out West. From that time on, Mary has performed and recorded a mixture of her own songs and arrangements of traditional and popular songs. In the summer of 1972 at Sweet's Mill, a gathering place for folk musicians near Fresno, California, Mary met Jim Ringer. Jim was from the Ozark Mountain area of Arkansas. His family had moved to Oklahoma and then to California in the 1940s when Jim was a boy. They settled in Clovis, a town near Fresno. Jim had had a difficult life and this was reflected in his gruff persona and in the solace he took from drinking. Jim was a solo performer and also a member of an old time string band called the Sweet's Mill String Band. Just after meeting Jim, Mary asked him if he knew the words to an obscure country song called Drink Up And Go Home. She suspected that he would, and he did, and for the next twenty years or so, their lives and careers were intertwined. 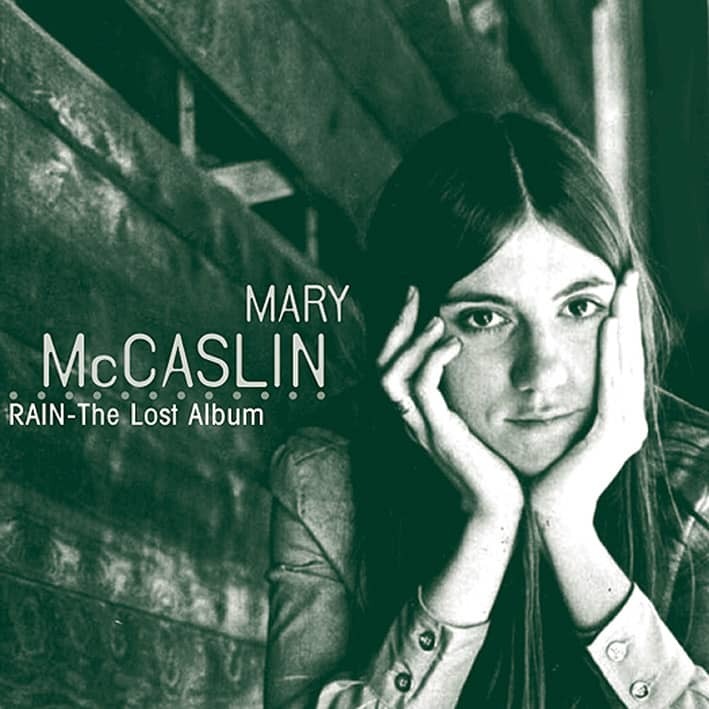 Later in 1972, Mary accompanied Jim to Connecticut, where he recorded his first solo album 'Waitin' For The Hard Times To Go' for the Folk Legacy label. When Jim's recording was finished, Mary and Jim were invited by folksinger Bruce 'Utah' Phillips to visit him in Vermont where he was recording an album for Philo Records. Philo was a small, independent label just beginning to add some singer-songwriters to its roster. Mary and Jim soon signed on to make records for Philo. In the 1970s, a somewhat bleak decade for folk music after the comparitive folk boom of the 1960s, Mary and Jim were two of the few musicians whose careers thrived. They became known for their contrasting voices and personalities and for how they somehow managed to make them blend. Mary and Jim crisscrossed the United States many times, playing in folk clubs like the Ark in Ann Arbor, Michigan, the Cherry Tree in Philadelphia, Pennsylvania and Passim in Cambridge, Massachusetts. They were so popular that they could play five nights a week at a club like Passim (near Harvard University) and draw a crowd for every show. During the 1970s Mary recorded five albums for the Philo label. The first two, 'Way Out West' and 'Prairie In The Sky' feature her as both songwriter and interpreter. The third, 'Old Friends,' includes just one original song, the title track, but this album established Mary as one of folk music's most innovative arrangers of popular music. 'Old Friends' was followed by 'The Bramble And The Rose,' a duo album featuring Mary and Jim. Late in the decade Mary recorded 'Sunny California,' another mix of covers and originals. In 1978, Mary and Jim were married and moved to San Bernardino, about an hour east of Los Angeles. In 1980, Philo stopped producing albums due to financial difficulties. That same year Mary and Jim were both signed to another independent label, Flying Fish. Mary and Jim each recorded albums for Flying Fish; these albums were released in 1981. Mary's album was called 'A Life And A Time.' Thirteen years would pass before she recorded again. Jim's album, 'Endangered Species' was his last recording. The good years were coming to an end and Jim's drinking had taken a toll on their careers and their marriage. In 1989 Mary and Jim seperated and were later divorced. Jim died in March of 1992 at the age of 56. In 1992 a compilation of Mary's early Philo recordings 'Things We Said Today: The Best Of Mary McCaslin' was released on the revitalized Philo label. In 1993, Mary returned to the studio to record her most recent album, the introspective 'Broken Promises' (which I had the pleasure of producing along with Mary). 'Broken Promises' was released in 1994. Customer evaluation for "Rain - The Lost Album"